Had a huge amount of this material just lying around and used scissors to turn it into rag yarn. 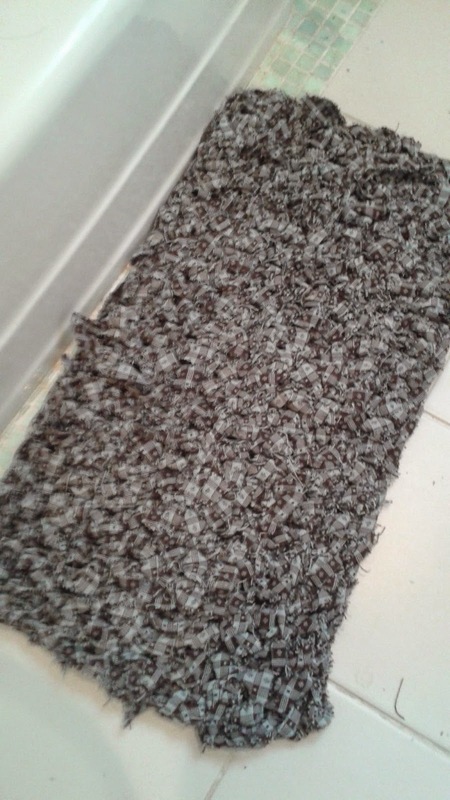 Was rather tough cutting it and only just had enough to make a small crochet rug. Used double crochet throughout. It's comfy to stand on and the color means it won't show dirt.